Carson David Liu, MD, FACS, FASMBS, pioneered laparoscopic gastric bypass at UCLA in 1998 and became one of the first LAP-BAND surgeons in 2002. He started Private Practice in 2003 where SkyLex Advanced Surgical Inc. was named after his two daughters: Skylar and Alexa. He is also a surgeon in the Weight Loss Center at Cedars-Sinai Medical Center. Dr. Liu received his medical degree from the University of Chicago, Pritzker School of Medicine and completed his internship, residencies and research fellowship at UCLA Medical Center. In 1998, Dr. Liu was appointed Assistant Professor of Surgery at UCLA Medical School where he continued to hone his skills in clinical practice, teaching and research. 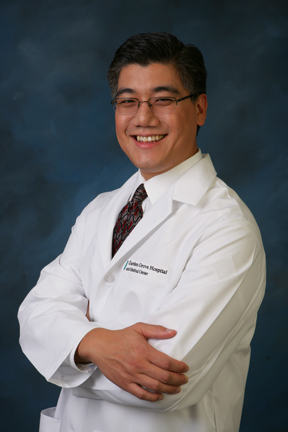 Dr. Liu has conducted extensive research and is widely published in the fields of Bariatric and gastrointestinal surgery; he is nationally recognized in his field and has lectured extensively to professional societies on these subjects. Dr. Liu is board certified in General Surgery and over the course of his career has performed over 3700 Bariatric Surgeries. In addition to his extensive clinical experience, Dr. Liu’s research interests include lap band surgery and insulin resistance in obesity. His research has been published in over 40 peer-reviewed journals including The Bariatrician, Pancreas and Obesity Surgery. He is the author of several surgery text book chapters and a reviewer for the peer-reviewed journal, World Journal of Surgery. Dr. Liu has written over 48 medical abstracts in publications such as Gastroenterology and the Journal of Surgical Research and has lectured and presented at numerous conferences and seminars. In addition to being board certified in general surgery, Dr. Liu is a member of numerous professional societies including the American College of Surgeons, The American Society for Bariatric Surgery and the Society for Surgery of the Alimentary Tract. He sits on many committees and is the recipient of numerous honors and awards. After earning his bachelor’s of science in chemistry and his medical degree from the University of Chicago, Dr, Liu completed and internship and residency in general surgery at the University of California, Los Angeles (UCLA) Medical Center where he was chief resident. Dr. Liu also completed a research fellowship at UCLA. Try to make exercise a fun activity! You can do this by listening to enjoyable music or watching a favorite movie while using the stairmaster or treadmill.